Arrive in the city center in just 24 minutes! Book a combo package with Airport Express Tickets and Ocean Park Tickets at up to 29% off on Klook! excellent ............easy to use n v convenient. highly recommended . 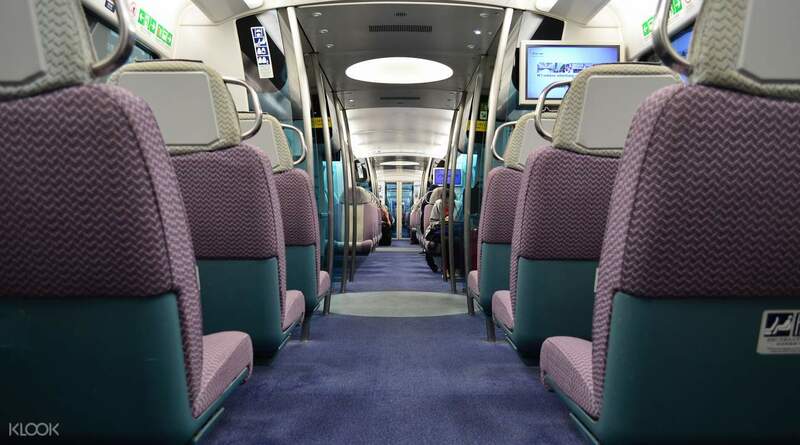 After arrival at Hong Kong International Airport terminal, you will be able to board the Airport Express Train immediately. 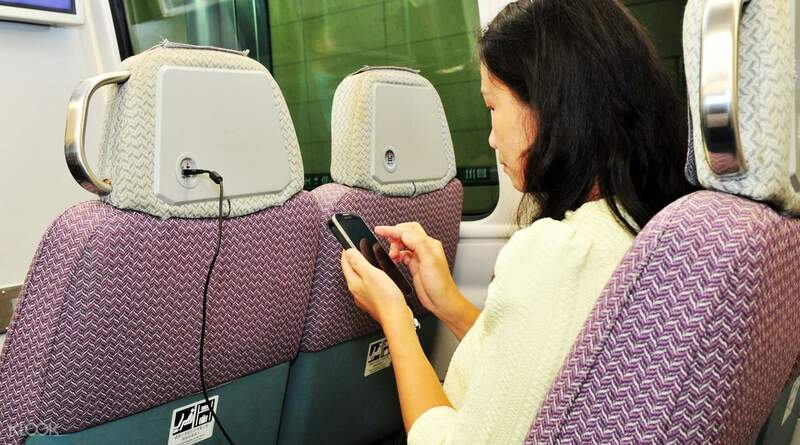 Onboard, enjoy free WiFi and device charging stations in specified cars before arriving in Hong Kong City Center in just 24 minutes! When you arrive in the city, simply scan your QR code on your mobile or printed voucher at the gates to pass through quickly and hassle-free. You will even enjoy free pick up and drop off between Airport Express stations and select hotels with the shuttle services at the station. For a convenient roundtrip journey, you can use the same roundtrip voucher to scan the QR code at the gate for each journey. 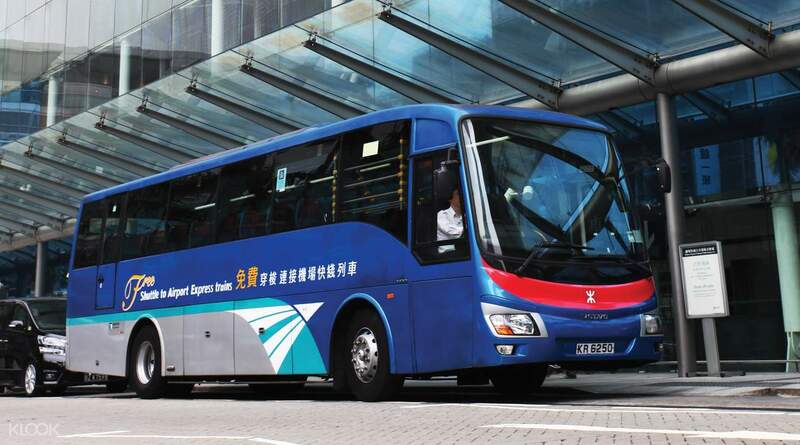 With the Hong Kong Airport Express train ticket, there’s no easier way to get to Hong Kong from the airport - and at the best price too! Make sure to sit in the carriages at either end of the train (car 1 or 7) to use the free in-seat laptop and phone chargers, and don't forget, free WiFi is provided for all passengers too! get a window seat and check out the view and relax! turn off the background noise by switching down the speaker behind the head rest! connect to wifi and contact friends on your eta into town! takes 24 min into the city! easy to use barcode and scan out although not every exit has a barcode scanner! get a window seat and check out the view and relax! turn off the background noise by switching down the speaker behind the head rest! connect to wifi and contact friends on your eta into town! takes 24 min into the city! easy to use barcode and scan out although not every exit has a barcode scanner! good, some seats had some crumbs but overall good. quick way into the city! many people like to keep their luggage with them but actually seats should be for people to sit. luggage is perfectly safe stowed in the luggage area where you can still keep an eye on it. keep valuables with you of course. good, some seats had some crumbs but overall good. quick way into the city! many people like to keep their luggage with them but actually seats should be for people to sit. luggage is perfectly safe stowed in the luggage area where you can still keep an eye on it. keep valuables with you of course. Wow, super fast access without any hassle. No need to print out. I took the free shuttle to airport express. Just scan the QR code from mobile and get access. No waiting. Too much comfortable with great discount. Klook deal is very nice and very convenient. Airport express is super fast and punctual on time. Thanks for the services. Will keep using the klook services for all my future needs. Wow, super fast access without any hassle. No need to print out. I took the free shuttle to airport express. Just scan the QR code from mobile and get access. No waiting. Too much comfortable with great discount. Klook deal is very nice and very convenient. Airport express is super fast and punctual on time. Thanks for the services. Will keep using the klook services for all my future needs. Very convenient and easy to access. No hassle of waiting for a cab to go to the city and is the quickest way to reach the city. Cheaper to buy in Klook than getting ticket in the airport. Transfer train is very clean and comfortable. Very convenient and easy to access. No hassle of waiting for a cab to go to the city and is the quickest way to reach the city. Cheaper to buy in Klook than getting ticket in the airport. Transfer train is very clean and comfortable. The app is user friendly and the order can be completed within minutes. There is no need to buy the tickets over the counter that could waste time in the queue sometimes. Deep discount is of course a plus to the travellers. The app is user friendly and the order can be completed within minutes. There is no need to buy the tickets over the counter that could waste time in the queue sometimes. Deep discount is of course a plus to the travellers. So easy to look up and showing all results as they can I always enjoy the services. Quick search and great guide for odering. Price is low, eady to make booking. KLook is way to use and user friendly. I have the best experience while doibg my booking with KLook. So easy to look up and showing all results as they can I always enjoy the services. Quick search and great guide for odering. Price is low, eady to make booking. KLook is way to use and user friendly. I have the best experience while doibg my booking with KLook. This is really worth a try! I definite recommend this for those travelling in a budget. Aside from the cheaper price, this saves time to your destination...it only took us aroung 20mins from airport to Kowloon. What I appreciate more is the free shuttle buses for the nearby hotels. This is really worth a try! I definite recommend this for those travelling in a budget. Aside from the cheaper price, this saves time to your destination...it only took us aroung 20mins from airport to Kowloon. What I appreciate more is the free shuttle buses for the nearby hotels. Simple redemption directly at the gates of the metro. Super fast arrival in less than 30 minutes from HK station to the airport. Highly recommended as it’s cheaper than the group discount of Airport Express. Simple redemption directly at the gates of the metro. Super fast arrival in less than 30 minutes from HK station to the airport. Highly recommended as it’s cheaper than the group discount of Airport Express. A: Yes. These one way tickets are valid in either direction (city->airport or airport->city). 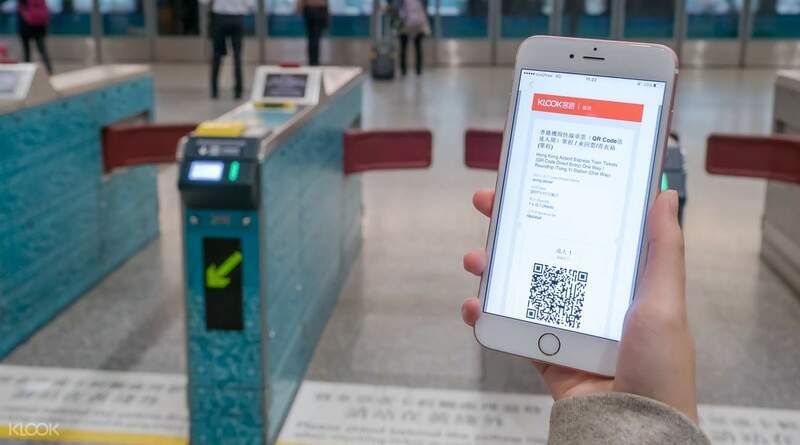 If you wish to use it from the city to the airport, simply scan the QR code and pass through the gate directly, no ticket redeem needed. Q: Can I buy a child ticket on Klook? A: Yes, we sell child tickets for single trip journeys but unfortunately no child tickets for roundtrip journeys. You can buy 2 child single trip tickets to make a roundtrip on Klook, or you can buy the child roundtrip ticket at any Airport Express Customer Service Centre or Ticket Issuing Machine. Q: I made a mistake when choosing the stations, can I change my ticket? A: Yes. 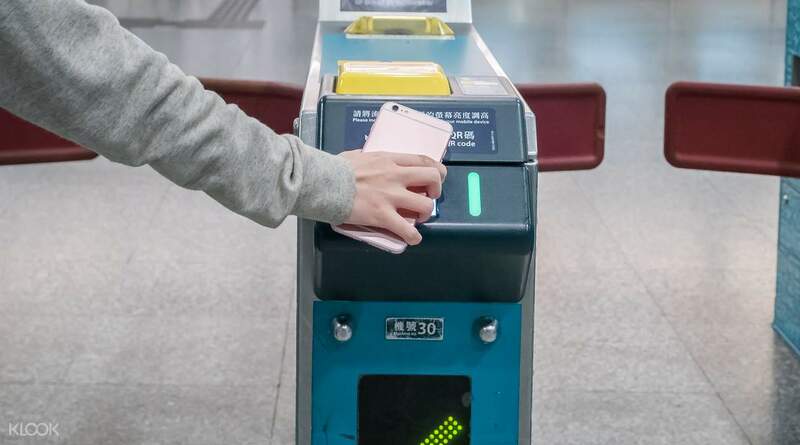 If you want to get off at a further station, you will need to pay the full retail price fare difference at the Airport Express Customer Service Counter by showing your QR code to service staff. You can also get off at an earlier station but you will not be able to get a refund for the difference in fares.